Where’s the fanfare at? Not only are our comments finally fixed but it’s the first Accessories to Murder of 2014! It’s already February, so let’s not hang around nattering about broken New Years resolutions and Justin Bieber’s mugshot. I give you the accessories that have made it onto She and Hem’s Most Wanted. Horse Necklace, £35, Tatty Devine. There is neigh better way to celebrate Chinese New Year, Year of the Horse, than with this Tatty Devine novelty necklace. 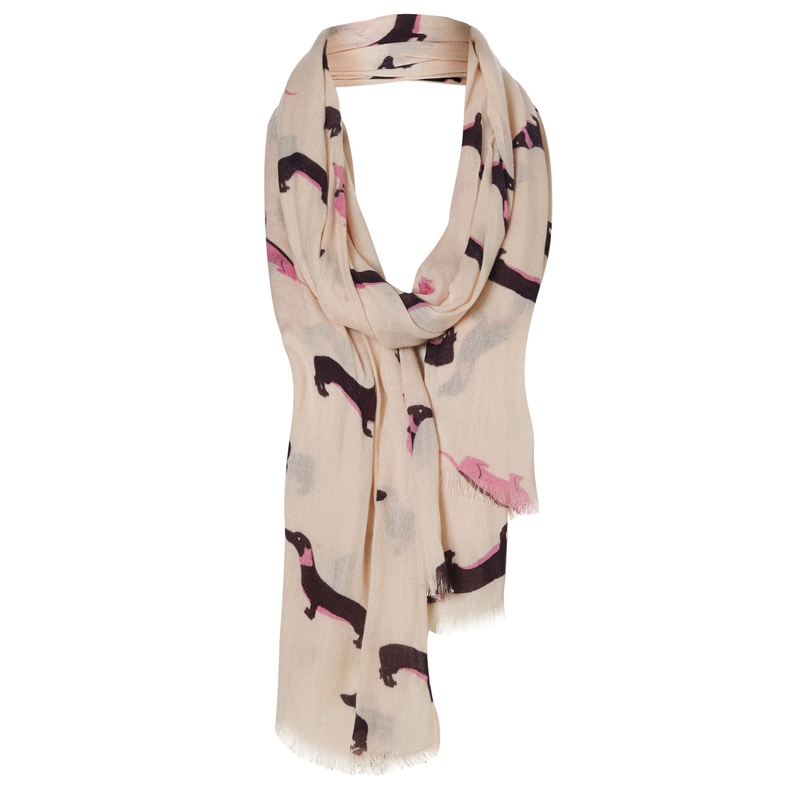 So don’t horse around, make it a stable part of your outfit as it won’t be around furlong! Thank you for bringing this into my life Tatty! MULTICOLOURED FLOWER NECKLACE, £18.50, Topshop. Ah, thistle do nicely. This gold chunky chain necklace is so fabulous that it will easily brighten up a gloomy February morning, getting you jumping out of your flowerbed. I love the clash of colours and will definitely be investing in this piece to jazz up my London Fashion Week wardrobe. Yes, I know I feature a satchel in pretty much every A2M. But Hemsters, I am not sorry! They really do go with everything and Topshop just keep on giving. They have a whopping 18 smashing satchels on sale at the moment and I can honestly say I love them all, with this soft mint dream being the cream of the crop. Glitter Hair Bow, £3.50, Head Full of Feathers via Etsy. The sun has got his hat on, but unfortunately it’s sold out everywhere, so I won’t feature it this weeks in A2M6! The past six weeks of Accessories to Murder have flown by, a lot like the little girl hanging from the delightful balloon brooch pictured below. This beautiful brooch was handmade by MyBearHands, who has an absolutely cracking collection on Etsy. I really love all of the goodies in this collection and have my eye on several of the necklaces. Fly Away balloon brooch, £18.00, MyBearHands via Etsy. Oliver Bonas seems to have mastered something which I thought was impossible, and that is how to successfully sell clothes, accessories, homeware, furniture and gifts all under one roof. They do it, and they do it well. I can’t think of another shop where I would actively seek to buy both a pretty summer dress and a wooden bedside cabinet. I’ll certainly be spending a lot of time there at the moment because they have a fantastic sale, which includes this little beauty. For under £10 you should definitely try and grab an antelope necklace before he leaps off! Antelope Enamel Necklace, £9, Oliver Bonas. Sticking with the animal theme for a moment, I give you this sleek fox belt from Yumi (who also have a great sale on!). I’m on the lookout for great belts, as I always seem to stick to my trusty waist cincher from Dorothy Perkins, so this foxy number really caught my eye. It’s very versatile and comes in black or brown. The last animal inspired accessory is an item that every girl should own. Never again will you have to be more than an arms length away from a quick G&T fix with this zoo themed hip flask from Topshop. It’s so fun, so flamin-go and get one! Zebra Hip Flask, £20, Topshop. So, you are going to need somewhere to store that sneaky tipple. Here are my current top two bags of the moment. A lovely red structured bag with a scalloped trim and handy handle from Glasgow based Hey Sailor, and an absurdly pretty vintage inspired clutch from Oh My Love. Oh how I love it! Fit for a lady bag, £22, Hey Sailor. Monday I’m in Love Vintage Rose Clutch Bag, £15, Oh My Love. Good evening everyone! Victoria is usually the Queen of the to die for accessories but sadly for us she has had to don the ultimate accessory, her marigolds. Good luck with the big clean, V! Instead, for one week and one week only, I am the one to take you down this dangerous (for your bank balance) path towards Accessories to Murder. First up we have these absolutely beautiful, and rather realistic, butterfly hair accessories from Beauxoxo. I think there’s something rather magical about them and I love how the model is wearing a veritable *looks up collective noun for butterflies* rabble of them in her hair, producing a rather ethereal effect. They come in a range of different styles, sizes and colours to suit your taste and are sold individually. I’m think they would make a super pretty addition to a summer wedding outfit! Bonbi Forest make some pretty darn awesome stuff and this original illustration locket is no exception. The gold necklace contrasting with the cat’s face is absolutely stunning and I love the little bow. It’s currently on sale at the wonderful Bristol based Soma Gallery which makes it a must for all cat loving necklace enthusiasts. I am lucky enough to own these head turning collar clips from Ladybirdlikes and I can’t tell you the amount of compliments they receive! I was slightly scpetical of collar clips as they aren’t something I had ever really considered as ‘being me’ but now that I’ve started I can’t stop! They really do jazz up a shirt and given my love for all things collar related, it only makes sense that I would enjoy adorning them with novelty animals. Topshop sure know their fun hosiery and I have a serious crusha on these milkshake print socks. I dairy you to find a better pair to keep your lac-toes warm. Well, I think it’s safe to say I’ve milked that for all it’s worth. In summary: great socks. Time for something refreshing in the form of these rather cool icelolly necklaces from Kukee. I love the amount of detail they have included, especially those little bites. I think the yellow one is my favourite but it’s a close run thing! One things for certain, these necklaces might be as sweet as candy but they sure are as cheap as chips. And last but not least is this wonderful brooch from Alice Shields (check her out – she’s incredible!) who thinks it’s totally OK to prefer people to cheese on toast, which it isn’t Alice. It isn’t. Beans on toast maybe but cheese? No way. The brooch is great though so I will let you off this time. You can get your hands on one by visiting the Objets de Désir website which we just so happened to blog about last week! Neat! I’m off to eat some cheese on toast now. Break out your Sunday best, I’m here with a slightly later than usual round up of the dresses worthy of the highly coveted She and Hem Double Thumbs Up seal of approval. I shan’t keep you any longer…. I know I have a tendency to get carried away but it was luft at first sight when I saw this appear on Modcloth! I need this dress so much I could pop! My ego would be seriously inflated wearing this. OK, that’s probably enough of that now. I discovered Lovely Melody Clothing over on Paige’s blog and, just like Paige, fell in love with their collection of gorgeous girly dresses. Their Etsy page is an absolute wonderland of vintage inspired treasures and it was quite the task to just pick one to feature! I eventually settled on this tie back, fairyland and candy print number due to the fact it contains not just cake but also a merry-go-round. Seriously, what more do you people want? Two pieces appear to be making an unlikely comeback, which frightens me and my appendix scar no end I can tell you. This tie waist dress from Boohoo might just be the answer I’ve been looking for as it reveals just the faintest bit of flesh around the old belly button area, giving the illusion of a two piece but without the commitment! I adore that bold floral print and, at £20, it’s a bit of a bargain too. This isn’t the best quality picture of Very‘s teapot print dress, but trust me when I say you’ll feel like royal tea in this beauty. I just love the detailing in the print with those little teapots, teacups and saucers. With the flattering cut designed to cover one lump or two, this dress is just my cup of tea. This gorgeous pastel unicorn print dress is just so childish and reminiscent of My Little Pony that it’s making me want to crack open the Cherryade and play ‘Pass the parcel’. However, those childish memories are long forgotten once you turn the dress around and see the backless wonder, which includes a wonderful gold heart, that awaits you! I make that two Double Thumbs weeks on the trot for Lashes of London, sterling work. You’ll be the pick of the bunch in this rather spiffing daisy print dress from M&S‘ Limited Collection. I would personally describe this as the perfect work dress. It’s a good length and neckline for both flattering you and keeping you smart, it has hidden pockets and, don’t quote me on this, Limited Collection dresses are usually good to wear without ironing! I love everything about the daisy print and am pretty darn excited about the flared hem too.